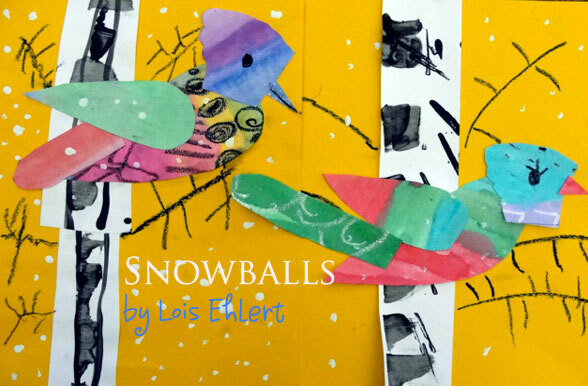 Lois Ehlert’s book, Snowballs, is yet another inspiring book for elementary school art lessons. 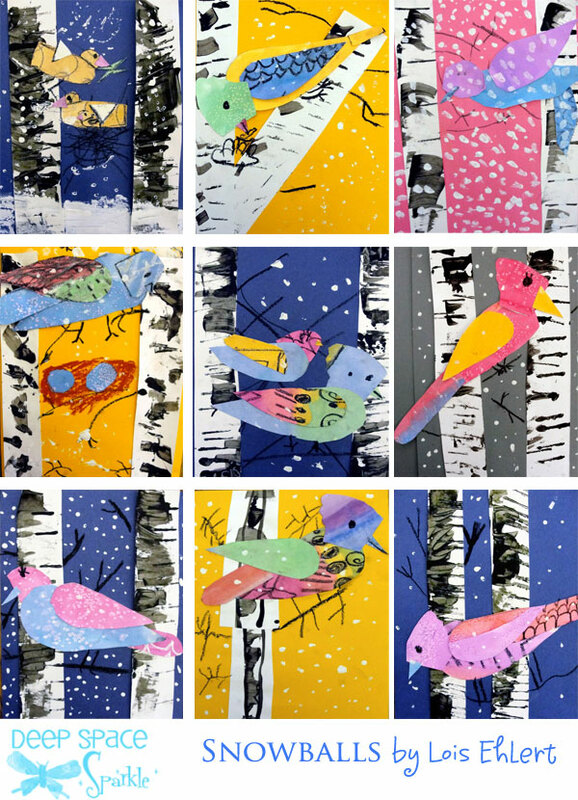 Instead of the featured snowmen, I gravitated towards the wonderful winter bird in birch trees. I created bird templates before for my “Pie in the Sky” art lesson and was excited to use them again. For those of you who don’t like templates, please don’t feel you must use them for this project. It’s just as easy to have children draw their birds. I do have many second graders who are considered “low” so the templates really helps their fine-motor skills plus it keeps them on par with other children. They do notice these little things and they feel quite empowered with their handsome cut-out birds. 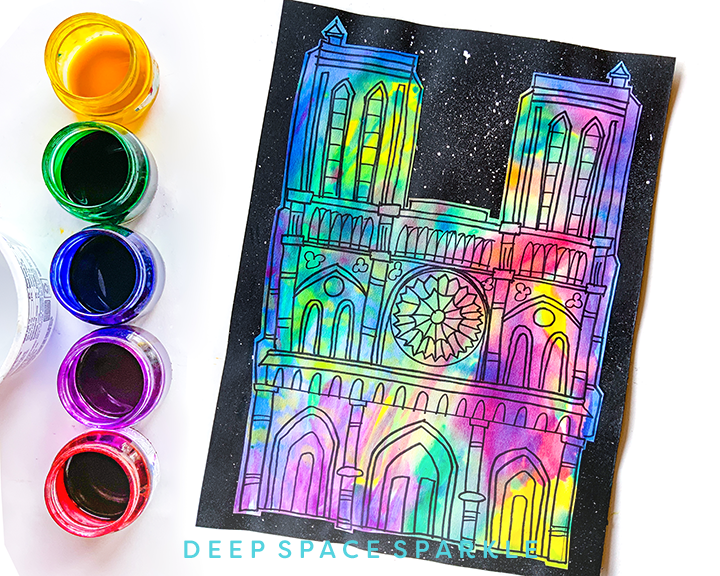 Colored 9″ x 12″ background paper, black & white oil pastels, 9″ x 12″ watercolor paper, liquid watercolors, table salt, strips of white drawing paper, black tempera paint, cardboard rectangles (cut from tagboard). Second grade students love Lois Ehlert! i like the bright yellow backgrounds – a fresh approach to the birch tree painting! lois ehlert has the best books! thanks for sharing. 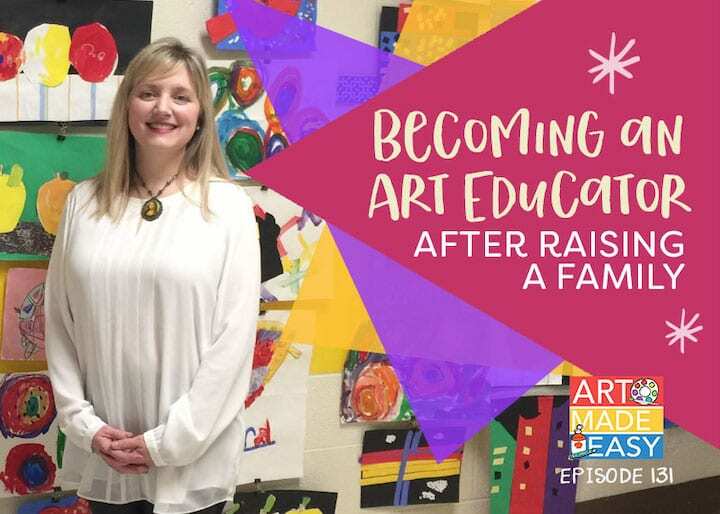 I agree…Lois Ehlert is the best! I love this lesson Patty! I like the different color backgrounds against the patterned birds. I will definitely try this sometime! What a beautiful project! I love it. I can see tie ins with artist, Charley Harper. Very cool ideas…thanks once again for sharing. Your site is just such a treat and inspiration on so many levels—thank you so much!!! Did the students draw their own bird shapes? Or did you have a pre-made stencil made for them? By the way… Thank you so very much for sharing your classroom. 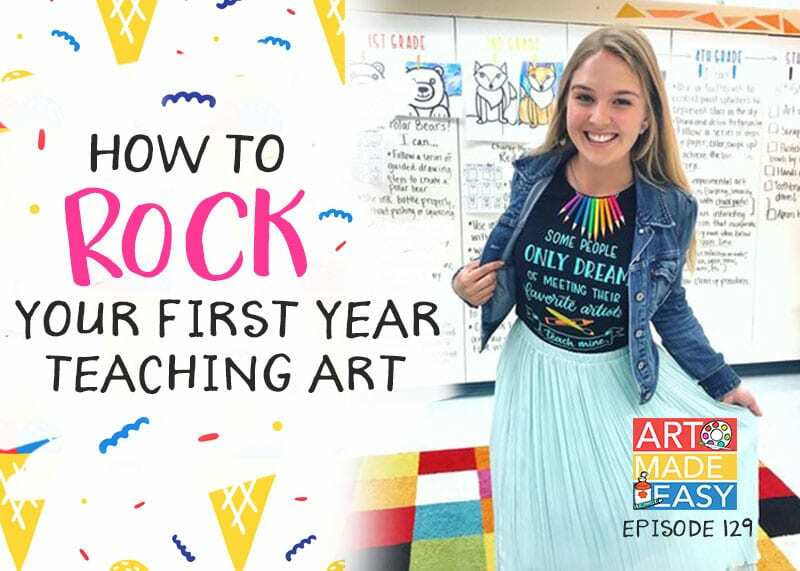 You have kept me inspired and made life a little easier for my first year teaching. I’m hoping to start my own blog one day. Woah… Maybe I should have read the blog and not just looked at the pictures 🙂 I answered my own question. No worries! We’re visual people! Just posted my interpretation of this project on to my NEW blog. Love this and also tried it with second grades. We put on blue paper and then black so we could enlarge the project area. I also let them use hole punches to create snow which they place on dots of glue. Good eye-hand coordination. They turned out lovely. 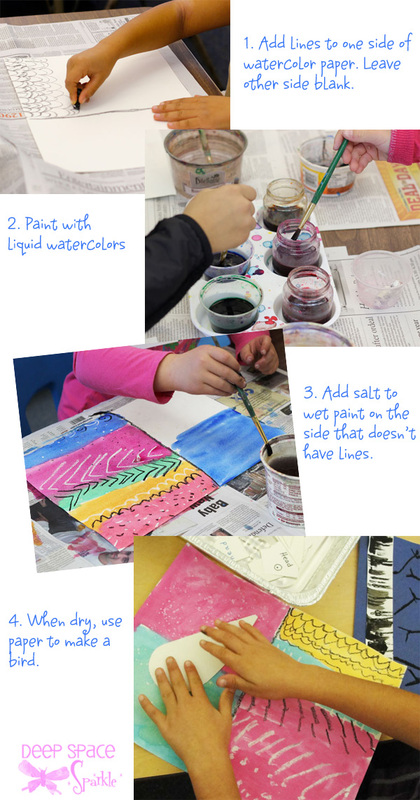 I did this project with my 2nd graders and it was a huge hit! Teachers all over the school commented on how beautiful the artwork was. Thanks for the great idea! Wow I’m so happy I came across your site. Beautiful work, and so generously shared. Thankyou.we are adapting this to work with Luke 12:24 for our bible class. 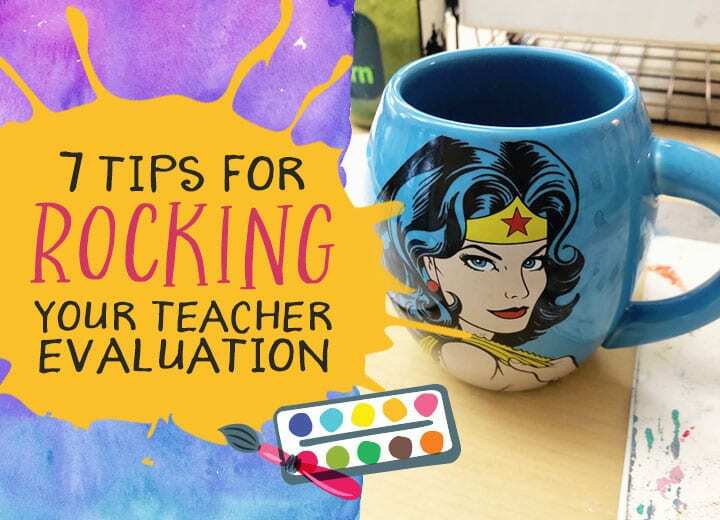 I haven’t come across the book you are referencing, but it reminds me a little of Ezra jack Keats who I have noticed you’ve also used. Love those books too. I’ll be including link info to you as I’m sure every parent will be asking! Blessings. This has been one of my favorite lessons. 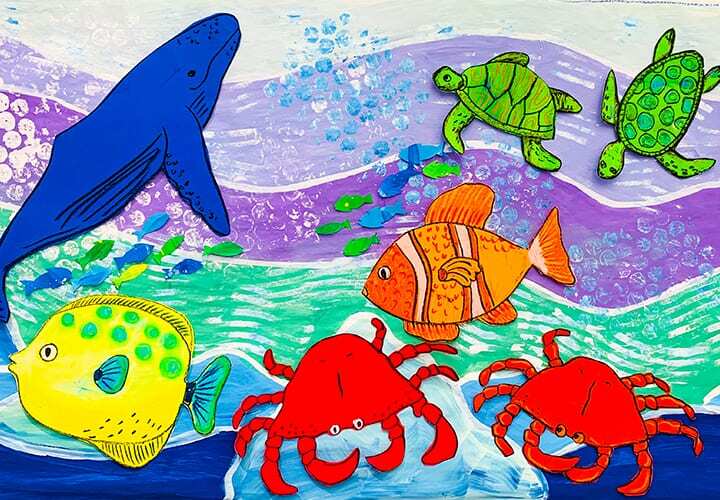 I am an artist and also art teacher for children in France, I am very happy to look at your website, where I can find many ideas, easily done and whith a few materials. This one is so cute and impressive! I WILL TRY IT NEAR CHRISTMASS. Thanks so much for stopping by! This lesson is great at Christmas time. Makes the cutest cards. 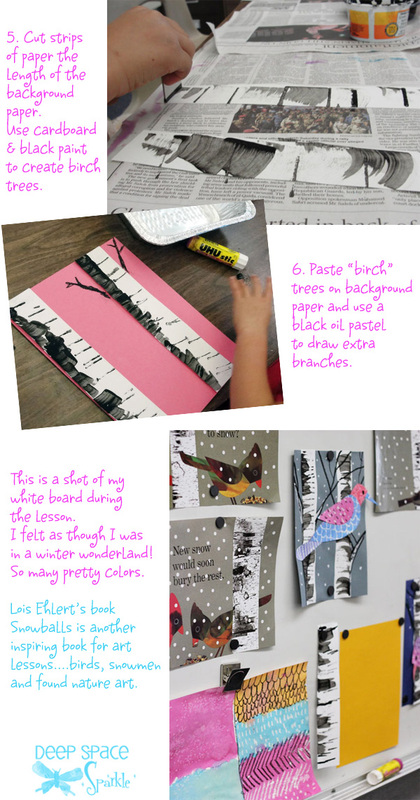 In step 5 you say “use paper strips, and then it says use cardboard for the trees”. Could you explain this. Yes. Cut the white paper strips first so you have the trees cut out before you start painting the black texture with the cardboard/black paint onto the white strips. I love this! I’ve made birds with my daughter before, but this is another fun use of the same template. She also used the template with scrapbook papers to make a birthday card. Thanks so much for the fun ideas. 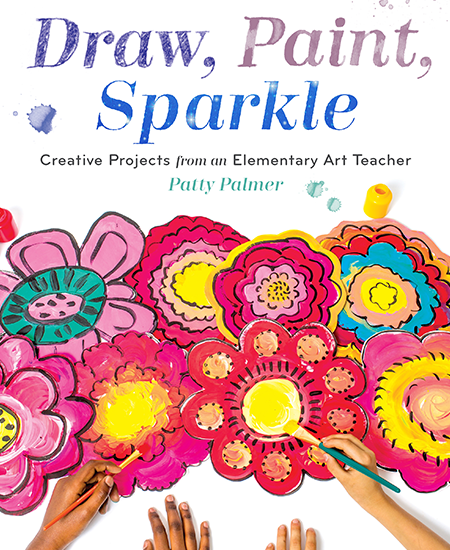 There isn’t a Lois Ehlert bundle (at least yet!) in the Sparklers Club. 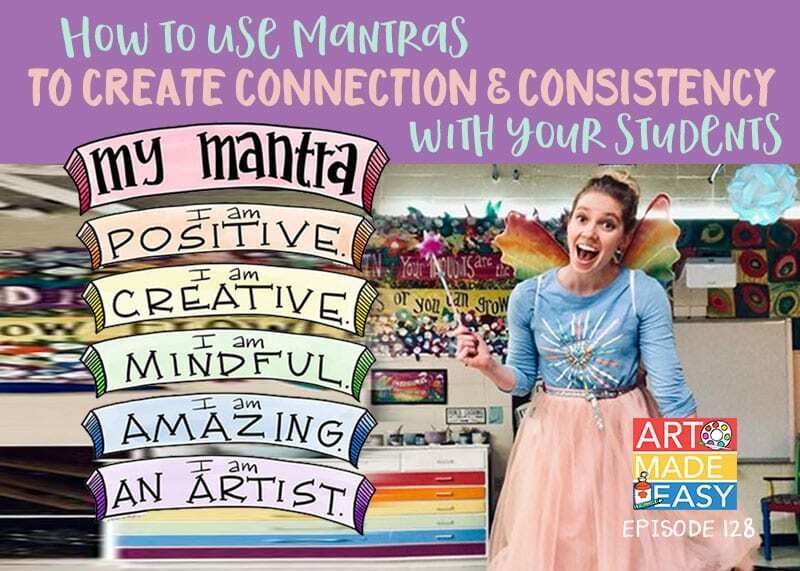 I do have many of her lessons…mostly in the Winter Art Bundle and Art & Lit Bundle and Marine & Sea Life Bundle. 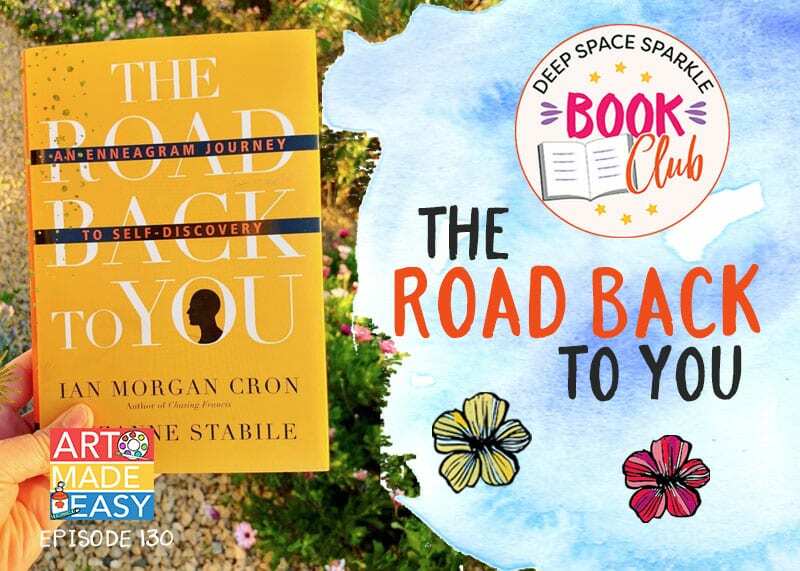 I would also ask your question inside the Sparklers Facebook Group. 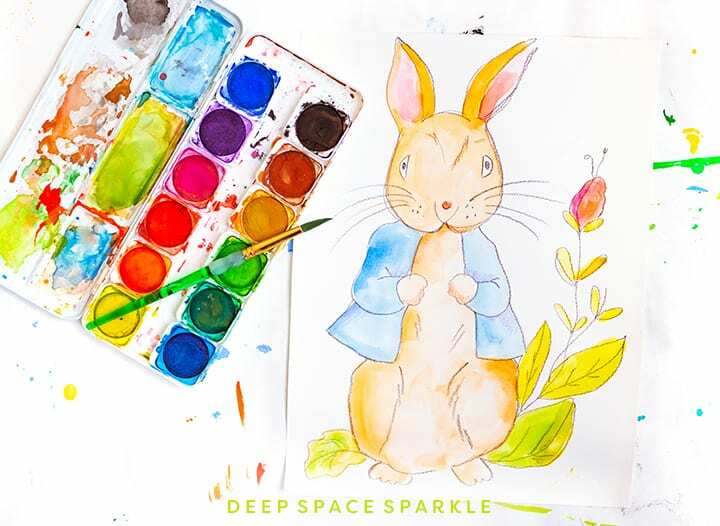 Sparklers will be able to give you lots of tips! Our K-4 graders were very excited about this lesson! We read the storybook to the K and 1st graders first. They were excited to see the crayon resist and They loved pouring on the salt and watching the reaction. It was a novelty for them to use a piece of cardboard to paint the birch trees and overall, they all turned out beautifully!! Thank you !!! Another note, the Kindergarten teacher used the bird templates and the leftover painted papers to make more birds and used them to decorate the class christmas tree!